When I first heard this phrase from a past client of mine I had no idea what he was talking about! Our discussion revolved around a new cause that he was involved and that they needed some support with their first large event. 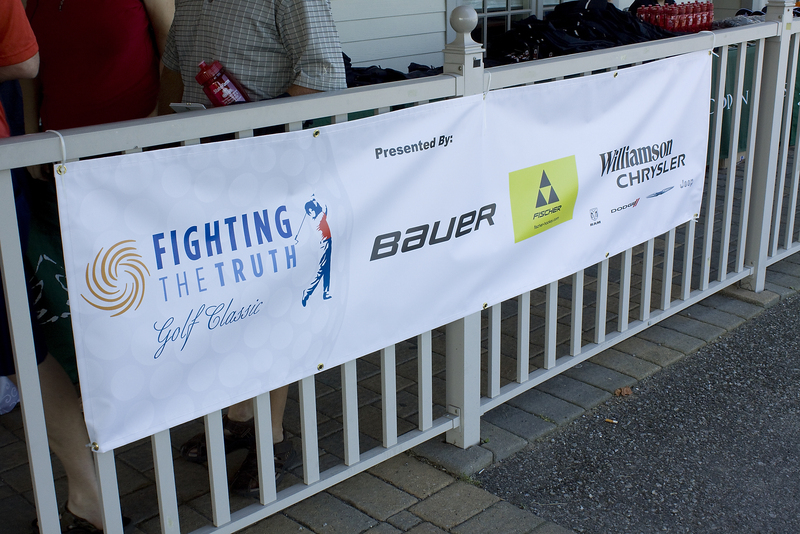 It was to be a golf tournament at Wooden Sticks in Uxbridge. I thought to myself this is going to be a bit of an uphill climb being the first event and not having a great deal of main stream recognition out of the gate. I happily provided the support I could by sponsoring one of the Holes and participating in the days event, (honestly I don’t get very many opportunities to play such a great course). With sponsorship committed I went about my daily events not thinking much about it until closer to the actual day and occasionally wondering how this event was to play out and what it would be like. I had been to other events and seen how sponsors seemed to get lost in the mix and the day quite often will pass by with little or no interaction with the events planners and little discussion about the cause or why we were all gathered. Well much to my surprise my stereo typical thought process was completely shattered! The event was a huge success and I was happy to be involved. The days events went off without a hitch and the entire event ran so very smoothly (thanks again to all of the event planners and volunteers) and we got the chance to speak to many of the people that created this event and have taken charge in this cause. I was very impressed and will continue to provide my support to this event as I felt involved and felt very much appreciated as a sponsor of the event, even though I was not the largest contributor, not even close! The other reason I will stay involved in this cause didn’t present itself until almost the very end of the event, just after diner. One of the organizations founders, Cory Bricknell stood in front of over 150 people and told his very raw and hard hitting story and I was moved by the passion in him and the story he shared with us. We almost always hear about the pinnacles and peaks the superstars in sports reach, The highlights they entertain us with and the sometime near impossible moves or displays of sheer athleticism they preform on a regular basis that get us out of our seats and have us cheering so loud and waving our home teams jerseys or flags with pride. What we don’t hear about are the more real and gritty story’s, the story’s that Cory Bricknell lived and all the others who sometimes aren’t as lucky those are the story’s we only hear about or pay any attention to when we are reading about the tragic story in the papers or watching on the 6 o’clock news. You don’t need to go that far back in time, just last year we lost a young OHL player by the name of Terry Trafford who took his own life. That was a truly tragic story! We don’t want to change the focus we should simply want to shine some of the spotlight on the other side of our sports heroes and the lives they lead and the pressures that are on them. I will admit, that until August 27th, 2014, I didn’t think much about the other side of the story, I honestly didn’t think there was another side, I simply thought that athletes performing at very high levels had everything in place. Well it turns out that sometimes it’s just not the case. life for them can be tough and they need help, guidance and assistance as much if not more than the average guy. I will continue to cheer at the Oshawa Generals and the Port Perry Mojacks games in support of the home team but I wont be so quick to heckle and jeer the visiting teams as I now understand that despite the fact they may engage in the heckling and it may seem funny at the time, there is a whole different world for that the exists once they walk down that tunnel to their dressing room. Sports is a great social event that brings everyone together, We cheer for the underdog and the home team and we love to give the visiting team a hard time. Just keep in mind that these superstars, these select few elite athletes, who appear to be affected by nothing and take a physical pounding night after night and who can dish out an equally physical response are quite often a few years removed from kids, our kids, who used to play in the playground for fun with their friends. Keep up the Fight and Fight for the Truth !! Previous PostOpen House Saturday, September 13th at 2-4p.m.Next PostWho is the Durham Real Estate Guy?